Street Team: Metanoia owns three adjacent buildings on Reynolds Avenue, with the middle one fronted by healthy eatery Dellz on the Macon. (Right, top and bottom) Clemson students built a model of the street for the Better Block event led by Metanoia and Lowcountry Local First (LLF). African drumming created the bass line for a welcome cacophony of neighbors catching up, kids ricochetting around a bounce house, and everyone cheering on a chicken wing-eating contest that area youth dreamed up. People strolled along crosswalks painted in colorful geometrics, heading for local shops and street-side tables tucked amidst evergreen trees. For one afternoon last fall, a stretch of North Charleston’s Reynolds Avenue—a block between Spruill and Rivers where industrial traffic zooms past mostly shuttered storefronts—was transformed into a happy community hub. The streetscaping and vendor booths only lasted for a few hours, but as part of an event dubbed “Better Block,” they left behind a vibrant vision for the future. Better Block began with a partnership between nonprofits Lowcountry Local First (LLF) and Metanoia. The former is dedicated to “cultivating an economy anchored in local ownership.” The latter has been rooted in the Chicora-Cherokee neighborhood for some 15 years. Recently expanding its reach to all of southern North Charleston, it works to build leaders, establish quality housing, and generate economic development from within the community. “From within” is the key phrase, the concept that’s driving LLF and Metanoia’s efforts. “Reynolds is a great little streetscape with a cool downtown feel, and we want to bring it back to life in a way that benefits the current residents of the neighborhood,” says Metanoia CEO and cofounder Bill Stanfield. 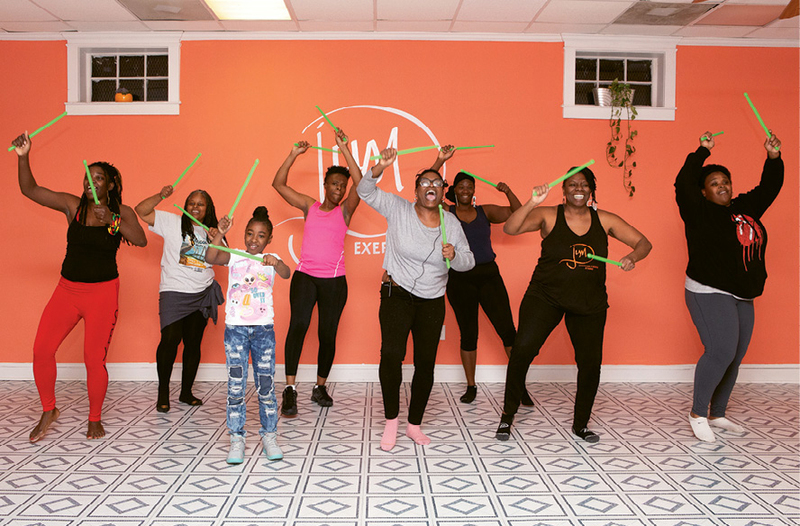 Making Moves: With help from LLF, Melvina Ravenel (second from right) opened Djum exercise and dance studio on Reynolds. Over the years, Metanoia has acquired three adjacent buildings on the block, aware that by owning property, “we maintain a say in what the fabric of the community looks like,” he explains. As far as Stanfield is concerned, it’s the residents’ say that’s most important, and Better Block—supported by city officials, local businesses, and multiple nonprofits—sought to find out what improvements they wanted most. Students from the Clemson University Master of Resilient Urban Design program polled attendees, learning that safety and economic opportunity were their major concerns. A grocery store was number-one on their wish list. In the meantime, construction just wrapped on the Metanoia-owned Deans Building. LLF will soon open a business incubator in the front of the space, housing two fledgling companies. “We want minority-owned businesses that will add vibrancy to the neighborhood and can grow to create jobs for people in the community,” notes LLF executive director Jamee Haley. It looks like a bakery will be the first tenant—and hopefully, it’ll meet the neighborhood kids’ request for ice cream, she says. The back third of the Deans Building is used by Metanoia’s recently expanded Youth Leadership Academy and this fall will host LLF’s new Community Business Academy, a 12-week course employing a nationally recognized curriculum to teach business principals to aspiring entrepreneurs.